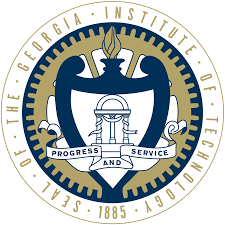 ATLANTA, GA (02/13/2019)– Dustin Sloan of Millbrook, NY, has earned a Bachelor of Science in Mechanical Engineering from the Georgia Institute of Technology in Atlanta. Sloan was among approximately 3,600 undergraduate and graduate students who received degrees during Georgia Tech’s 256th Commencement exercises on December 14-15, 2018, at the McCamish Pavilion. One of the nation’s leading research universities, the Georgia Institute of Technology is in the business of creating the next – the next idea, the next technology, and the next legion of agile minds well equipped to imagine and engineer our future. More than 25,000 undergraduate and graduate students are enrolled, and Georgia Tech is ranked in the nation’s top 10 public universities by U.S. News and World Report. For more information visit www.gatech.edu.